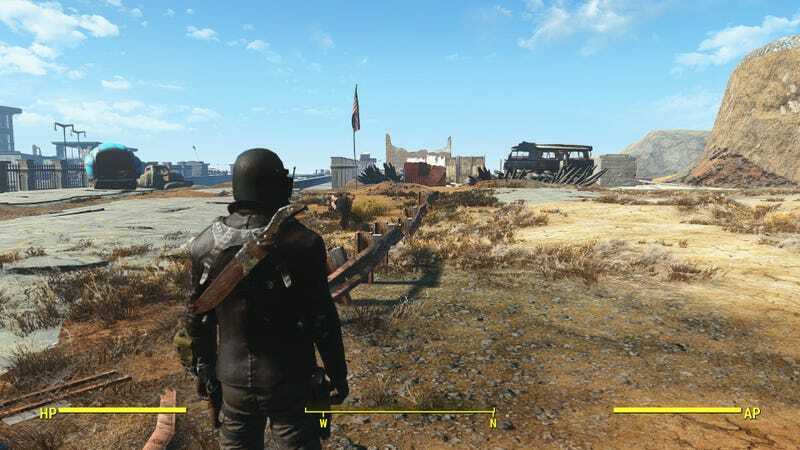 Ever wonder what Fallout: New Vegas would look like in in a newer engine? One modder is trying to make that fantasy into a reality, and the progress is sweet. Sir_Bumfrey says he is handling the world design of this mod, while his friends will be doing some quests and scripting to make New Vegas come to life. The whole thing still appears to be in very early stages, but what’s there is still pretty exciting for those of us who long for a New Vegas remake. “I have to recreate all the buildings from scratch, but the good thing about New Vegas is that many of the buildings are actually exact copies of others on the map,” Sir_Bumfrey wrote on Reddit. “Essentially the more of the world I build, the quicker I can build. You can look at the rest of the New Vegas in Fallout 4 albums here and here.